March 2010 - Page 2 of 5 - Pebbles, Inc. Happy Wednesday everyone! For today’s post I challenged some of our design team members to “whip up” a project using Pebbles products in 30 minutes or less. Check out these fabulous projects that can be created in no time at all! 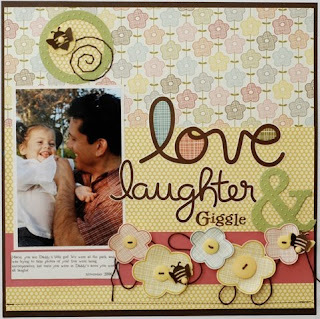 First up is this adorable layout from design team member Celeste Smith. Celeste used a clip art image that she found on the web here to hand cut her shamrock. What a fun idea! First, turn the chipboard heart over to expose the chipboard side and paint it with one layer of paint, set aside to dry. Then paint on a coat of glitter glue. Even though the glitter glue appears white in the photo it dries clear. Finally pour on a layer of glitter, set aside to dry. After the glue is dry, shake off excess glitter, and complete your card! Thank you Samantha for this fun tutorial! Happy Monday everyone! I hope you’re ready to mix it up a bit with our design team as they’ve created some wonderful projects that mix and match products from lots of our collections. First up is design team member Emeline Seet. Here’s what Emeline had to say … “I mixed papers from Downtown, Skipping Along and Linnie Bell. This is a picture of our little boy’s recent birthday. 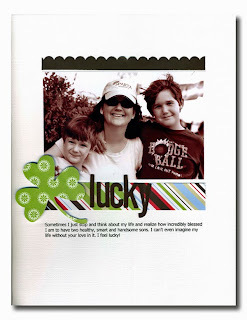 I just love how versatile Pebbles papers are!” Adorable Emeline! Leave a comment on this blog post with a link where we can view your spring themed project. Please be sure to leave your email address in your post as well so we can contact you if you are a winner. Projects must use at least 50% Pebbles product. Comments and links must be posted by 9pm EST on Thursday, March 25th to qualify to win. The winner will be chosen at random and posted on Friday, March 26th. You will win a fabulous prize package filled with some fun Pebbles products perfect for all of your Springtime projects! 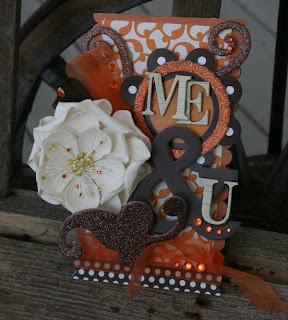 And before we go how about one final project from design team member Lisa Warren. Here’s what Lisa had to say … “Springtime, and there is nothing better than the weather warming up and little girls breaking out their pretty, strappy dresses. The Skipping Along collection is just perfect for Spring inspired layouts with its fresh colours and floral patterns. For my layout, I have used Skipping Along patterned papers with coordinating stickers and ribbons. I have added dimension to the floral stickers using foam tape underneath and Candy Dots on top. I have rearranged the word “friends” from the sticker sheet, to spell “find” to suit my theme.” Beautiful Lis! More Spring Projects with Akiko and Lisa J! Design team member Akiko Kuroki created this adorable spring themed layout using papers from the So Tweet collection. I love how she created a border around her layout using Pebbles chalks and stencils – so clever! 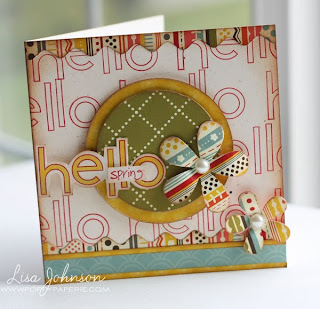 Design team member Lisa Johnson put a little spring in her step with this adorable card. Here’s what Lisa had to say … “Spring here in the Northwest is very green and filled with bright colors … so when I think of spring I think of red and bright yellow, like the local Tulip and Daffodil fields that are blooming right now. Those colors were the inspiration for today’s card!” Lovely Lisa!